Today we're releasing version 6.5 GA - you can download it here. This release finalizes our work on on-demand sync and includes some bug fixes where content was not always visible or searchable when not yet downloaded. A huge thanks to the Beta community who helped us uncover some important edge cases in the behavior of that feature. Below are the finalized release notes and screenshots of our major feature improvements. Chantal and the rest of the Windows team! Shared view: can now quickly browse all notes you've received via Work Chat from the "Shared" section in the left panel. On demand sync: an option if you want note content to be downloaded only when you see the note in the note list. This is ideal for users with many thousands of notes who want to save some disk space. 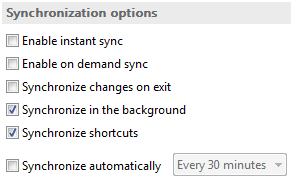 You can enable this by checking the "Enable on demand sync" option under Tools>Options>Synchronization. 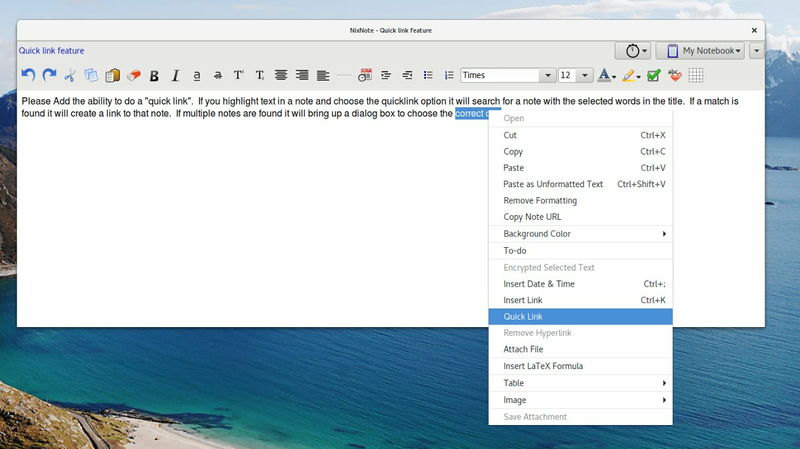 If you do not check this option, Evernote will download all the notes content in advance. Hmmn. It's an idea for people to check their preferences after updating - my 'on demand sync' was selected in beta before the update, but the new install left that box unticked. I had also previously terminated with extreme prejudice the 'automatic formatting' options but the new install showed them selected again... I put my choices back to where I wanted them. The bug which was introduced a couple of betas ago which prevents the note window from scrolling when content goes beyond the bottom is still present. Much as I'm sure this new release is awesome, it would be great if there was at least one release in which EN just fixed a few bugs rather than introducing new features and the inevitable slew of new bugs to go with them. Looking forward to some new beta releases! I reported a pretty annoying bug (to me anyway) in the last two betas here and here, it has to do with saving file attachments where existing files are blindly overwritten. Prior versions of EN would ask to overwrite first. Asking is pretty standard behavior. Maybe three times is charm to get it fixed. Can't be much of an effort to fix it. Also, will you please have the courtesy to not spam plus users with ads to upgrade to EN Premium (such as document search). If I wanted/needed premium I would certainly purchase it. Have you synced/ restarted the app since sharing? If you add notes on the PC they'll stay on this PC (as well as being synced to the cloud and to Android), so no advantage that I can see. If you ever install Evernote on another computer however you can avoid a long database download if that one is set to ODS. How specifically did you share it - via Work Chat, or email, or ?? Ah, OK. You're not actually sharing the note with another Evernote user; you're just putting a URL to the note in your clipboard which URL allows anyone to view that note in their web browser. 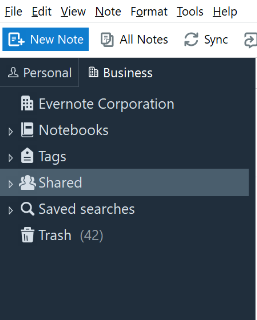 The "Shared" section in the left panel is for notes shared via Work Chat with another Evernote user (and in the case of a personal non-business account, also for notebooks that have been shared with you or that you have shared with other users). Window scrolling works fine for me, can you please describe your scrolling problem in more detail? Add some content to the end of a note, whether by pasting or just typing (a few carriage returns will do). The cursor and content will disappear past the bottom of the note window rather than have the window automatically keep scrolling to show the last line. What is up with that - did someone add an extra couple (or more) zeros for testing purposes and forget to remove them? Is this peculiar to my installation? Or am I misreading what the above details refer to? Syncing is also taking a long time. Syncing, exiting using the menu (file/exit) didn't help. The same thing happened when I tried to use the menu to access the tag list dialog. 6.5.4.4720 (304720) Public. I use this way of tagging notes a lot, and some of them may include a lot of tags, which makes the alternative methods a PITA. Note added: I turned off instant sync in the options, and the expected activity for CTRL-ALT-T is restored. Add note about instant sync. Hi. Same version, but not the same problem. Reinstall? Thanks fot this! Every day I use Linux as my operating system. However, due to some features that are not available in web or android version I have an old laptop with evernote installed. I noticed improvements in handling large notes and speed in performance - immediately after installation. Sometimes I use NixNote2 client. From there, I would like you to hook up the function of quick link. It is very helpful, useful, fast and handy. "quick link". If you highlight text in a note and choose the quicklink option it will search for a note with the selected words in the title. If a match is found it will create a link to that note. If multiple notes are found it will bring up a dialog box to choose the correct one. Look at the screenshot below. What is the instant sync option? When instant sync is checked the note syncs right after you exit it, within 10 seconds or so anyway on my PC. I use it as extra insurance to prevent conflicts. Since the last update it is more difficult to make a global search. There is no exit for the search inside of a notebook. I use quite a few notebooks and search a lot global (in all notebooks). Tools / Options / Synchronization: Hover over the "Enable instant sync" item for an explanation. I don't have windows....was just curious. I installed the latest release today and since then have been unable to sync at all and, possibly as a result, I also cannot use the note linking feature. My log is attached. It's not likely that the release caused the problem - lots of folks seem to have installed without issue. You won't be able to use note links unless the notes have been synced and assigned a UID - I'd suggest you start off with basic sync teching and go from there. On my side the "Instant Sync" is not reliable anymore and seems to rarely work as expected, i.e. as before the update. For instance, the below screenshot show that my note was not synced after 2 minutes and monitoring the situation I saw it being synced at the 5th minutes, i.e. when everything is sync again. Anyone faced this situation and found a way to restore the expected behavior ? Not having the issue here, instant sync working well. You are exiting the note in question? You might try to File - Exit EN and restart. Thanks for the suggestion. When the problem occurs, it will regardless if I am still in the note of not. I have tried in the past restarting Restarting EN and that didn't resolve the problem. The problem is resolved by itself then will reappear again for a little while..
May be bug report time. Hi. When I'm working on another laptop that sometimes happens to me because of trackpad issues - I usually remember to kill it and then there's no problem that I've seen... You could also be hitting a key combination that jumps the cursor around? I think this would occurs when EV is syncing the notes, can you confirm? One way to prevent this would then be to deactivate the instant sync and/or increase the elapse time between each full synch. This is a known problem in the latest Windows release, and they're working on it. In the meantime you can try un-checking Set new note focus to title in settings. I think this has worked for others in a different thread. I don't use laptop. It happened even when I hit a single key. I think the problem is about syncing system. The solution's helpful for me. I think this is exact solution of this problem. You are welcome. Well, it's a workaround until the actual problem gets fixed. I was choosing the font size "13" but, after I typed the number "1", Evernote choose the first size with 1 that is "10" and then typed the number "3" in the note. I do not think it possible to change font size that way. If you want to either increase or decrease the font of the selected text by one, the more reliable way is to use Ctr+Shift+> for up or Ctrl+Shift+< for down. Has anyone else experienced the bug where mouse clicks on a menu "go through" the menu and instead clicks on whats behind it. It seems to occur randomly, but has happened 20-30 times over a period of time. It sometimes happens when I use Ctrl+Q, and it just now happened when I tried to right click on a tag in the tag popup menu for tags attached to a note, to rename it. The picture below shows how I right clicked the front tag, but the tag in the back is selected. Yup. Known problem, waiting on a fix. I'm curious. Does anyone at Evernote actually use the Windows client? I don't see how. This bug where the cursor jumps to the title has hit me about 20 times today. I quit using the beta and am using the web interface for the rest of the day. This has been in PUBLIC RELEASE now for 4 weeks. It renders Evernote unusable to anyone that actually types. It doesn't bother the clippers-only crowd, but it sure is getting in my way. I found a workaround for that bug: in the Note options, deselect the "Set new note focus to title"
I think I find a bug with the "Save attachment" option. I have replicated on 3 different PCs with the same release and get the same result. When selecting multiple notes and try to save it on your PC as attachment it doesn't save anything on the PC. Can anyone replicate the same problem on their system and confirmed or not if this is only me or we all have the same problem? Yes, this has been reported and I believe EN stated it is being worked on in another topic. In my case, I created a folder on the desktop and the attachments actually appeared on the desktop, not in the folder. I moved the files from there. Others tried this but it did not work the same for them. FWIW. Running the latest GA version. Just installed Win10 Creator's Update and find that when typing notes into Evernote, there is now a perceptible lag/jerkiness when the characters are displayed onscreen. Never happened before the Windows update. Wonder if I am the only one. Update: I have regained control over the lag by unchecking "Enable instant sync" and "Enable on demand sync". Almost back to normal now. Also is it my imagination but when have both boxes checked, some time to time, there would be a window opening and closing in an instant. Very disconcerting. Let's see if it happens with boxes unchecked. Updated my experience with the issue. Yeah, but then I have to click into the note header to put the new subject in, so that just changes teh place the problem occurs. still good you have pinpointed what seems to be the source of this issue. Hoping someone from Evernote is reading this. So why there's an Editing toolbar which presents me the option to change the font size using my mouse? I realized that it happens when Evernote is syncing. For example, I changed some block of text, selected it, and during the time I go to the Font size button to change the size of it, Evernote starts syncing and the options go hidden as I didn't have clicked there. There's nothing wrong with having shortcuts and visual UI to accomplish the same operation. Zillions of programs do; why would you think that that's a problem? The temp fix is to go into Options for Notes and uncheck "Set new note focus to title" because right now that is being proccessed as "Set current note focus to title every 30 seconds or so." 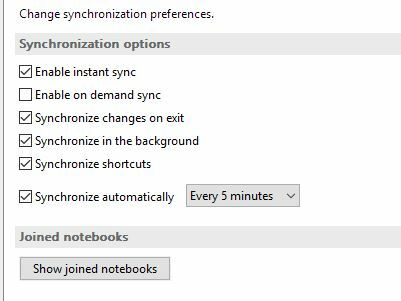 I have unticked all of the options on the "Synchronization" panel, because I like to synchronize manually according to my own schedule. But this new version still syncs without me doing anything. Looks like a bug? Is there a fix? Hi. When are you seeing these syncs? At start-up, when closing, at regular periods in between? Randomly? Hi gazumped, thanks for your interest. The sync does NOT happen at start up or when closing (as far as I can tell without doing more rigorous testing), but sometime in between. Not sure if it's at regular periods or random, since it happens when I'm not paying attention; I'll only notice that it has synced when I go back to Evernote, which could be half a day after I last used it. Had you sent any emails to EN in the interim. I've noticed I get a sync on my PC soon after forwarding an email to my EN email notes to address. No, but I think I understand better what's going on now. I notice that my Windows desktop version syncs whenever I do any of the following: (i) clip something using the web clipper; (ii) create a new note using my phone; (iii) create a new note using the web client. I guess that sending an email to EN will do the same thing. So, even though I have UNticked all the sync options on my Windows client, it still syncs whenever any of the above actions are taken. I'm not sure if this is the expected behaviour or not, but it's not what I would expect, and it's certainly not the way it used to work prior to this latest release. avoid a long delay next time you manually sync - if there are dozens of new notes / edits to download to the desktop you would have to wait for some time before starting to work. I'm actually grateful that it works like this (and might be partially responsible - along with quite a few others - for any changes here) - The latest Clipper will not save directly to my local hard drive database, which used to be an option in Firefox. So when I wish to clip a page in more than one installment* I had to clip, then sync manually, then copy/ paste more content... which ruined my workflow. A few of us moaned about this lost option. Now I hardly miss the direct save. I clip, select the next block of text, and copy / paste that section into the new note which by then has magically appeared. Yeah just validated this. Within 30 seconds of emailing something to EN or creating a new note on my phone the note appears on the desktop, no matter the sync settings. Same for editing the note on the phone. I can't remember specifically, but I agree with you that this hasn't always been the behavior. Someone from EN might have to the when of it. My guess would be this feature, along with things like instant sync on the PC, might be targeted at improving data currency and reducing the risk of note conflicts. Not a bad thing overall, IMO, if that is the case. There is a bug (or design flaw) where file time stamps shown for attachments are not updated. The are frozen at the date they were imported. For example, I created the following attachment and added it to Evernote on April 24, 2017. I've edited the file multiple times, including today, (May 1, 2017) but the time stamp never changes. So I have a problem. I just downloaded evernote 6.5.4, but for some reason it made my PC freeze and I needed to restart it. After restarting it I tried opening the software again but my PC froze again, and so I uninstalled. I tried reinstalling it again but I had the same problem. This is my first time using evernote on windows. Anyway, I have windows 8.1 if that matters. Can you help? Add a note from another client. iOS, Web, or 3rd party. Go to Evernote on Windows and sync. The body window will perpetually show "loading...." even though there is nothing to load. It doesn't know what to do when there is no body. The body window will perpetually show "loading...."
Looks like we fixed this already - should show up in the next release. Thanks. Any plans to release something to the beta channel? Also looking forward to it not moving my cursor from where I am typing to the subject line. It seems like an earlier fixed "bug" has returned recently, in form of a too small of a margin between the last displayed tag in the note window and the three down arrows that let's you see the rest of the tags. Now they once again can almost overlapse, which can easily result in that you delete a tag from a note when you accidentally click the cross inside the tag, instead of the three arrows. Exactly what it says on the can: If you duplicate a note and use the public URL of that note (which is, obviously different from the original note), you will get 'note not found' errors when trying to view the content. It appears the public link is being copied with the note (this is obviously wrong). Workaround: Turn the public link off and then back on. Having annoying issues with copy & paste in new beta upload. its really slowing me down at work. Can I undo? Hi. If you'd like to step back to a previous version of Evernote it's not recommended, but it is possible. Backup your database folder in case there are issues, and uninstall Evernote. Check this link for an previous version and download / install. - and AFAIK no-one else has mentioned this issue yet. 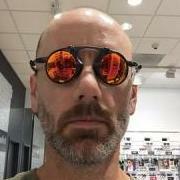 Can you repeat your post there please with more details so the developers can investigate and fix it?